Sorry to have been away from the newsletter for so long – I’ve spent most of the past year writing a new book, On Purpose Before Twenty, which has just been released! The book is a collection of essays which discuss what I believe are the key issues confronting contemporary youth, and those who aspire to raise and teach them. 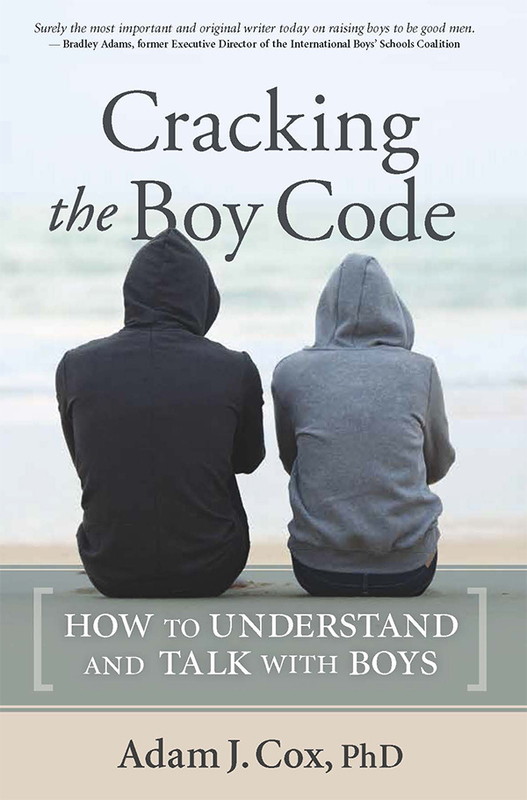 The major genesis for these ideas was the two-year global study I conducted for the International Boys’ School Coalition, Locating Significance in the Lives of Boys. Other essays address thoughts on younger children, and the culture of schools. The content relates to both genders – and reflects years of clinical work as well as my research. “We are a society mired in conflict about the benefits and liabilities of innocence. We panic that children have no time left to be children, and yet demand performance from them as soon as they begin school, worrying incessantly when they are slow to respond. Our ideal child is someone whose mind seems to work via remote control, switching between channels for performance and play, as befits the situation. Contradictory desires cause many parents, and particularly mothers, to live on the edge, always anxious about what’s being lost because of what’s being gained. Despite this tumult, some beliefs remain steady. Among these beliefs is that stories are good for children, in part, because they are a non-electronic source of captivation. That’s a relief. But is such captivation destined for isolation, to be triggered only by what is fictional and contrived? Can we learn from children’s literature that a sense of agency is a non-negotiable need of growing up strong? Great stories use the plausible to leverage belief in what’s less believable. As readers, we accept those conditions as the basic parameters of a tale. By contrast, the abyss between the richness of literature, and the often impoverished narratives that drive children’s lives, is a global crisis. In the mindscape of childhood, there is a colossal deficit of attention to what is most important, and indeed indispensable to youth. This non-negotiable priority is an opportunity to participate in making the world. It’s an instinct that shows up early on. It is evoked, for example, by a toddler’s will to topple a column of blocks. That impulse flirts with healthy grandiosity, “I can make things happen. I can alter the shape of the physical world. My actions matter.” There’s less fixity in a child’s perception of reality; they feel that in some important way the world has begun with them, and that it exists to be affected and changed by “me.” In the jargon of psychology this is called egocentrism, but that’s a term which barely conceals contempt for the extreme self-interest of children, particularly the unsuppressed desire to have a say in priorities, relationships, and how rules are constructed. The popularity of stories flows from an affirmation of this right, and the ways in which stories illustrate how to claim that inheritance. An instinct to compare oneself to others is as common among children as it is among adults, and the effects are just as serious. To name only a few: an epidemic of existential depression (masked by medications, but never adequately resolved), self-defeating avoidance of reality through substance abuse, and an inability to care seriously about anything beyond one’s status and personal needs. I don’t know if comparing oneself with those who are exceptional (in the sense of being notably above average in some important way) is a source of stress to children everywhere. But my own conversations with children of diverse backgrounds suggest there is a critical mass of youth who subject themselves to conscious comparison occasionally, and subconscious comparison almost constantly. A nexus of these comparisons is differences in talent, something about which children have little control, but which is nonetheless psychologically segregating. Talented children, on whole, comprise an elite group that get more “air-time,” and positive attention. It’s a source of tension for those whose talents are less obvious, and who may fixate on how to escape the shadows of more gifted peers or siblings. It’s a conflict that also explains the transformative promise of children’s fantasy literature; average kids transcend their normalcy by acquiring extraordinary abilities, and are then needed by others to perform deeds of great importance. Not only is this plot consoling, it illustrates the tendency of children to fantasize about compensating for perceived deficiencies by accomplishing something of substantial merit; something which leads to public recognition, and an acknowledgement of unique abilities. It’s hard to feel like you matter if you’re only “average.” Many young people have been raised in societies where the status of fame has been separated from the work invested in bringing it about. Along with being a distortion of facts, it’s a misperception that fails to acknowledge the pleasure of a sustained, goal-directed effort. As this distortion is allowed to flourish, society affirms the cult of fame, and the surrealism of growing up in a world where riches and notoriety are everywhere, but beyond personal reach. For many young people, it feels like a game of chance. Rather than pinning happiness to a well crafted and executed plan, we think like game show contestants: let’s spin the wheel and see what we get. Childhood and parenting practices are under intense scrutiny, but we seem to resist complex explanations for our concerns. Mostly, I think, because we’re tired and short of time. There’s virtually no forum to discuss or examine the deeper disconnect affecting contemporary youth, which in my view is a lack of synchrony between personal ideals and available choices. It’s an epidemic more widespread than ADHD, and it’s howling for a cure. Specifically, in what ways can real life better reflect the sense of agency and participation sought by children? Stories spark excitement, but that exhilaration is by definition an act of imagination. If J. K. Rowling and peers have posed a significant challenge to childhood, it’s the dilemma of occupying childhood with chronicles of fantastic adventure that have no parallel in real life. Parallels would not require wizardry, but do demand an adjustment of scale, and a viable chance to leave one’s imprint on the world. They might require, for instance, a chance to pit oneself against a worthy adversary, other than those on the opposing soccer team, or a zealously strict teacher. When a trio of teens in British Columbia recently dressed as superheroes, and set out to snare sexual predators, they affirmed the powerful lure of doing something unambiguously good, in an unordinary way. Leaving one’s imprint might also include the chance to do something that matters enough to warrant positive public reaction. In my community, I’ve noticed young people hauling the lumber needed to construct a boardwalk path from a village center into the adjoining forest. Despite my plain description, it’s actually a rather monumental task, carefully crafted to traverse wetlands. Being part of this effort is psychologically elevating. It transcends lifting and carrying. It’s hard, interesting work, and a focus of community discussion. The path is eagerly anticipated by adults as a means of communing with nature, getting exercise, and allowing wheelchair access to the deep woods. For the eleven and twelve year-olds donating their time to this effort, the fun and meaning of the task is the physicality of hauling lumber, the need to move a considerable mass from one space to another, and the sense of building something that is large, and which will be admired by others. It’s an unlikely plot for a Harry Potter book, but I doubt it’s a task Harry or Hermione would oppose. Young people need to be admired for accomplishing what is selfless, and credibly good. Yet it strikes me that such opportunities are scarce, if they exist at all in modern childhood. Selling cookies door-to-door, or pledging sponsors for a walkathon have their purposes, but they don’t seem sufficiently interesting. Such activities enlist young people as workers, but not as deciders or innovators. Would such activities captivate Harry Potter and friends? I doubt it. Harry seems to be more intrepid than altruistic. Mere altruism is for muggles. Well, I hope you enjoyed this well enough to be interested in the rest of this essay as well as others in the book. The book is available internationally on many sites including Amazon. For your convenience, here are links to some Amazon sites. More to come in the next installments. Cheers! ‹ Is Attention More Social Than We Think?